When it comes to choosing a material for one’s kitchen countertops, there’s one material that homeowners reach for than any other… We’re talking about granite, of course! 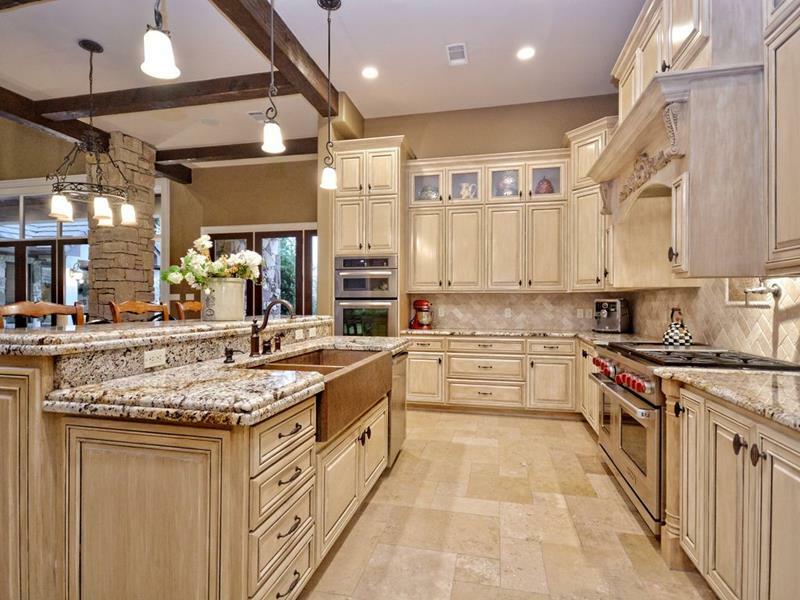 And while you may have dreams of granite countertops for your kitchen, it’s important to understand that there’s more to granite than meets the eye. As a matter of fact, there are a number of different kinds of granite you can use, granite of different colors and with different patterns. Granite that’s been rounded on the edges, and granite that’s been smoothed. Simply put, there’s a lot to think about when you’re putting granite countertops in your kitchen! 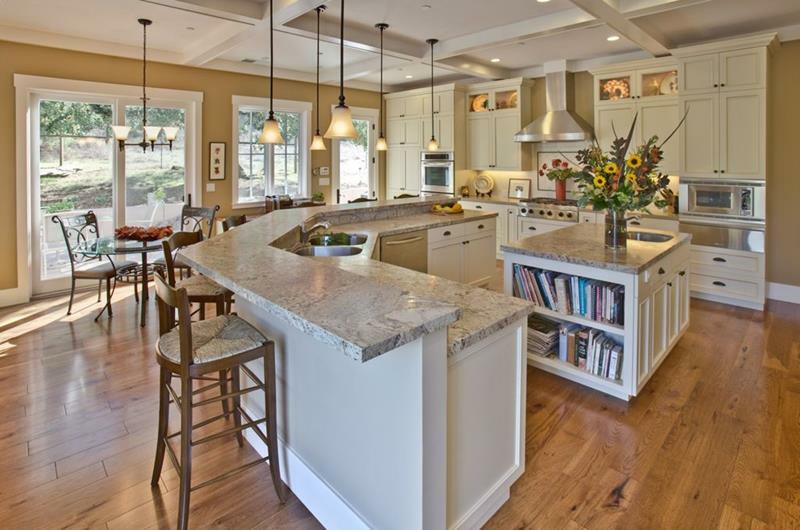 In the 15 examples that follow, we’re going to show you some absolutely gorgeous kitchen granite countertops. We think you’ll see the breadth of options available to you, and maybe you’ll find the inspiration you need to select the appropriate countertops for the kitchen of your dreams! Going with a different color granite for your center island can be a great design choice, especially in a white kitchen. 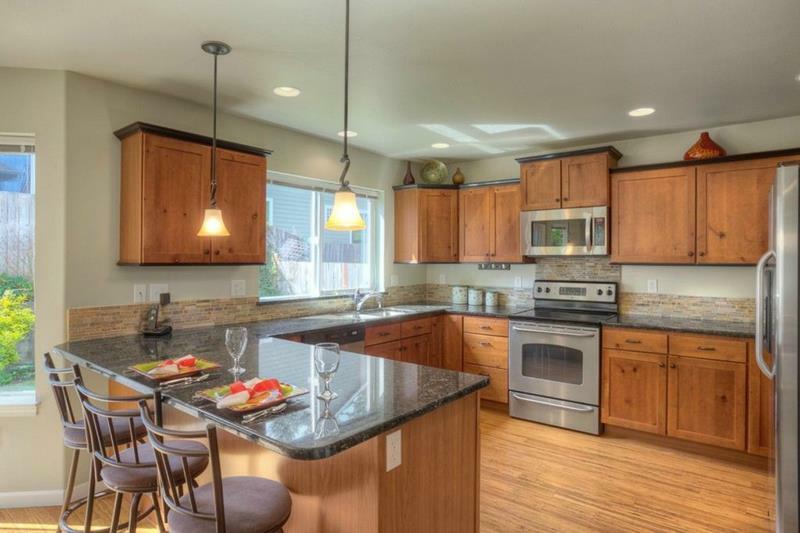 Also note how the rounded edges of the granite countertops help to soften the square aesthetic of the cabinets. 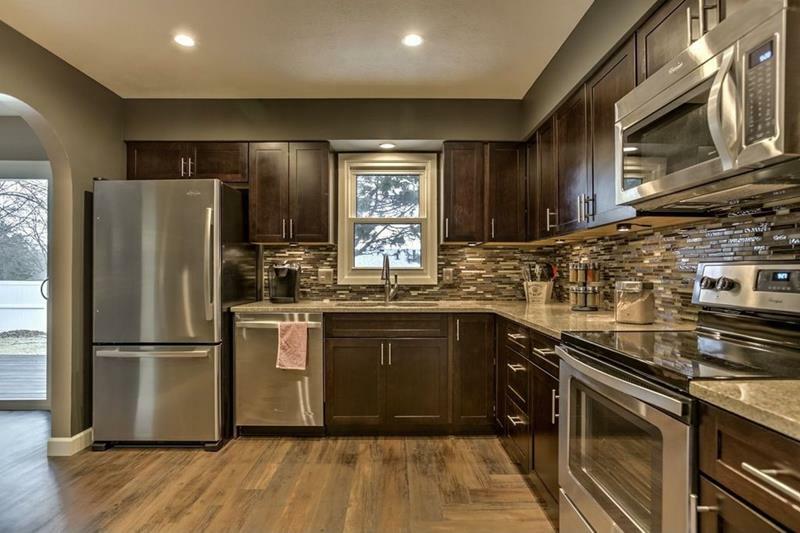 Between the cabinets and the backsplash, it’s clear that this kitchen wants brown, brown, and more brown. 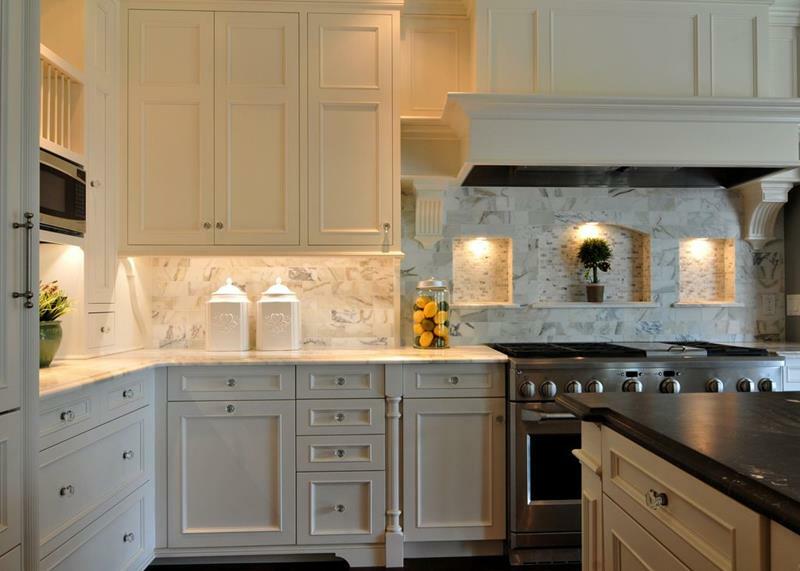 Note how the cream granite countertops help to soften and lighten the effect. 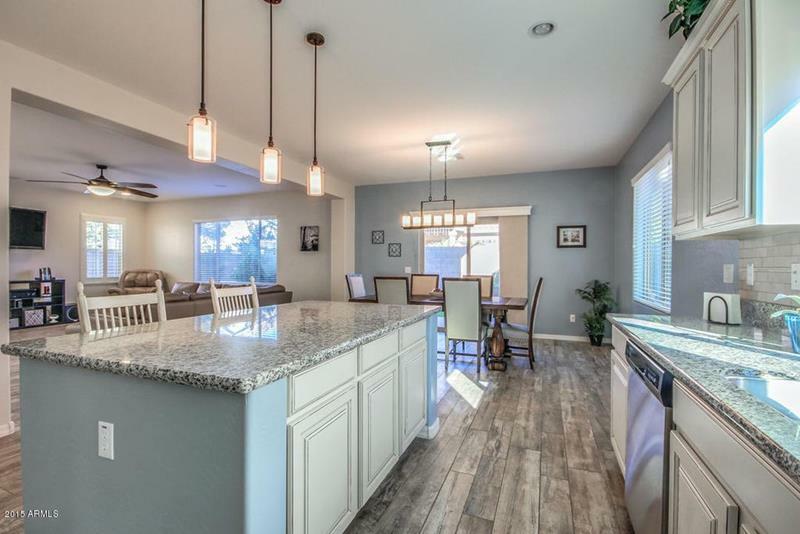 When you’re going to include a light blue color scheme in your kitchen design, a black-and-white flecked granite can be an excellent choice for your countertops. Bare wood can be an excellent choice for creating a natural feel in your kitchen. When you do this, you might consider a forest-green granite to further accentuate the effect. When you opt for an antiqued cream color for your cabinetry, a granite that contains flecks of brown can be an excellent choice, as it yields an almost coffee like look.